This piece is made with a Friendship Plate with a beautiful poem with whispy pink glass around the plate. One left, for more information call (713) 899 0933. This entry was posted on January 18, 2011 by alliekayglass. 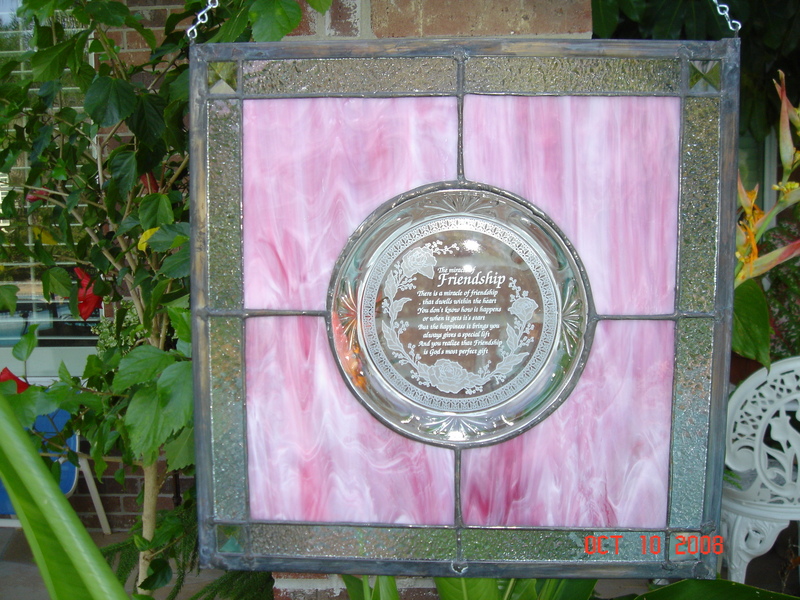 It was filed under Stained Glass and was tagged with friendship, pink, plate, Window.